As the founder of Nantucket Rising, Darcie enthusiastically supports the mission of helping Nantucketers and island lovers everywhere learn to grow and thrive. Because that is what Nantucket has done for her. When Darcie first came to Nantucket, she could feel the magic and mystery of the Grey Lady’s spirit. She felt like she was coming home even though she’d never been to Nantucket before. After graduating from Princeton University, and competing as a member of the U.S. National and World Cup Luge Teams, Darcie moved to Nantucket year-round in 1988. Eventually tiring of the Nantucket shuffle and interested in furthering her education, Darcie attended the Smith College School for Social Work in 1995. After interning on an in-patient psychiatric unit at a Harvard teaching hospital and at Harvard Pilgrim Healthcare's Out-patient Program in Cambridge, Massachusetts; Darcie returned to Nantucket as a clinical social worker where she has been in private practice ever since. In addition to her private psychotherapy practice, Darcie Evans Counseling Services, LLC, Darcie is now adding the life coaching component of Nantucket Rising - an island initiative that focuses on diving in, making healthy life choices, and then taking flight! In her spare time, Darcie enjoys sailing her orange and yellow sunfish (named Sunny), playing paddle tennis, hanging out with her friends, and walking on the beach with her partner. Janie is licensed as an instructional technology integration specialist. After 25 years of classroom experience, Janie retired from traditional classroom teaching. She now assists individuals and groups in public and private settings with integrating digital devices, such as smart phones, tablets, and computers, which aid and assist in all aspects of their everyday life. She especially enjoys coaching seniors, who have not grown up with new technologies, to overcome fears they might have, and to use these digital devices in ways that add enjoyment and efficiency to their lives. She also helps developmentally challenged adults participate in the digital world. When Janie unplugs from the world of technology, she loves storytelling, songwriting and playing music with her friends and family. She currently plays with local musicians in the Offshore Blues Band and records in Boston at Woolly Mammoth Sound. She too, can be found on the paddle tennis courts and walking the beaches on the west end of the island. When Janie isn't on Nantucket, she loves traveling to new places and meeting all kinds of people. 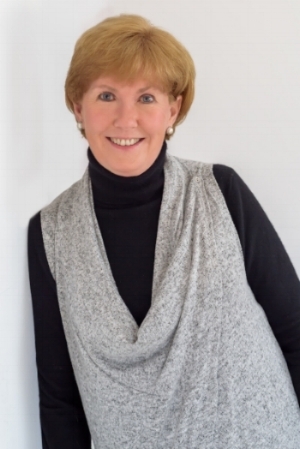 Christine Callahan has worked in healthcare for over 30 years, most recently in a consultant capacity to providers of care in several different specialties. Since 2001, Chris has collaborated on innovative projects aimed at improving health while being mindful of compliance, quality and risk. Chris graduated with her nursing degree from Boston College and earned an MBA from Averett University while living in Virginia. She specializes in organizing daily operations, process flow and revenue analysis. 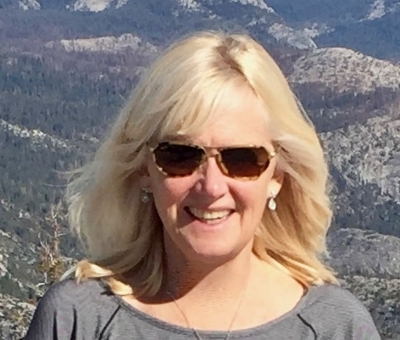 Christine’s past work experience includes Contract Administrator at BCBS of MA; Assistant Director of Operations in a federally qualified health center in the New England area and Director of Ambulatory Nursing for a large managed care organization in southern California serving 100,000 members in 17 health centers. More recently Chris has assisted with integrating EHR technologies into practices, performing clinic assessments, and evaluating risk and exposure within offices and healthcare settings. Although Chris doesn't live on Nantucket, she fell in love with the island when working as a single professional in downtown Boston. Often on weekends, she and her friends would take the boat over and stay in local B & B's in town to relax and recharge. Chris loves the ocean, boating, and being on the water when she's not working. She also enjoys walking, pilates, and any activities that help create a healthy work-life balance. You do not have to be good. You do not have to walk on your knees for a hundred miles through the desert repenting. You only have to let the soft animal of your body love what it loves. Tell me about despair, yours, and I will tell you mine. Meanwhile the world goes on. Meanwhile the sun and the clear pebbles of the rain are moving across the landscapes, over the prairies and the deep trees, the mountains and the rivers. Meanwhile the wild geese, high in the clean blue air, are heading home again. Whoever you are, no matter how lonely, the world offers itself to your imagination, calls to you like the wild geese, harsh and exciting - over and over announcing your place in the family of things.